Menopause is defined as the time when there have been no menstrual periods for 12 consecutive months and no other biological or physiological cause can be identified. It is the end of fertility, the end of the childbearing years. There you have it, THE END, your life is OVER, there is no further use for you… or is it? In our society today, there are many myths, mysteries and fears that surround the very word- menopause -, and there is much confusion even amongst us women as to what will, does or could happen in these midlife years. The subject itself is taboo and even though EVERY woman goes through this phase, most women continue to suffer very much alone and in silence. The number one truth that every woman needs to understand first, is that each of us has our own unique journey through this phase of our lives. Unfortunately, in this age of youth culture many women fear they are becoming invisible; that they’ll join the ranks of the old or ‘past it’ brigade, they will become ‘less than’ who they are now, and they will have to suffer with ‘something or other’ for the rest of their natural lives. 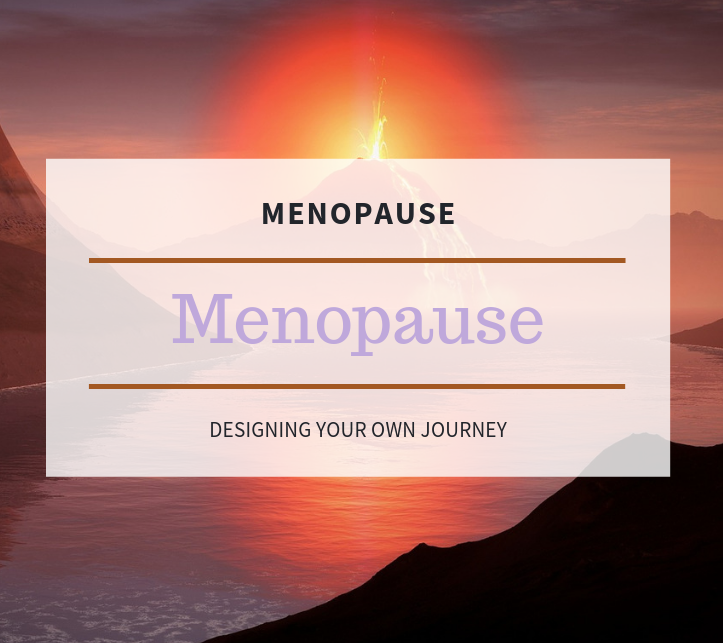 We need to change the message that current thinking has around Menopause as I for one am tired of menopause being treated as a disability or seen as a woman’s decline; rather than a rite of passage to the next exciting gateway of our lives. But this unfortunately is the message we are currently receiving, and yet, many post-menopausal women are having the best time of their lives – me included! Menopause is a phase in our lives, and like the seasons we enjoy in this world, we should learn and understand the value that this phase reveals to us. The seasons work together, Spring into Summer, through into Autumn and then Winter with each balancing the other out and we know in each turn of season that nothing is ever ‘good’ or ‘bad’ – it just IS. If we think of Menopause as the season of Autumn, the season of completion. It may seem as though it is an ending as the leaves fall and the plants and flowers lose their bloom, but we know this is not truly the end and it doesn’t last forever! Winter comes, we naturally become quieter, we hibernate as daylight seems shorter and darkness longer, but then a new year is heralded, and we celebrate the coming of Spring. This is the POWER of the PAUSE! As you gradually move through into Menopause, take time to listen and learn about YOU again. Like Autumn, ‘the change’ is asking a part of you to draw into your roots, to pause and to rest. The value this phase brings us is that we do indeed need to turn our attention in, towards ourselves, to re-evaluate our priorities, to learn about our true selves. To review and reflect upon our life journey so far and cast out what isn’t working for us anymore. What do you feel you’ve been missing? What dreams have you put on hold over the years? What is your body telling you it needs right now? What about your heart and mind? Where do they wish you would spend more of your time? What do you KNOW, now? What is it that is set to emerge? It’s time to totally nourish yourself, to catch up with parts of you that have been waiting to be discovered. There is so much opportunity here, and when we can really truly and deeply honour ourselves for everything we have been through; trust that it’s ok to use this time to rest, you can then trust that the best years of your life are yet to arrive. So much of our journey through this life, is dependent on what we focus on. It depends on perspective: and what we believe is possible. If we assume, we are declining, and focus our attention towards that, we’ll be met with so much disappointment and diminished opportunities. So, I ask you; are you prepared to allow yourself to be defined as being ‘past it’ when you reach menopause, because the perception is, we have now ceased to be ‘useful’?